Every golfer wears a belt to cinch his slacks, but it seems only the most elite -- and self-confident -- players accent their waist apparel with a pertinent buckle, too. Until now. Currently used by such pros as Mike Weir and Paula Creamer, and affiliated with the likes of Pebble Beach Golf Links, 59 is a luxury-golf brand based around quality. The company's belts are available in a variety of colors, but it's the buckles that really impress. 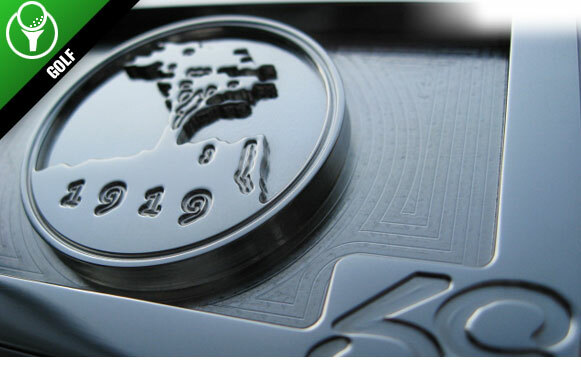 Specializing in customization that features initials, personal designs or company logos, each buckle is individually machine-milled from solid stainless steel. And they're not just for top pros anymore.